These programs provide a variety of elective courses from which students are allowed to select and are in addition to the academic courses required for graduation. Career and Technology Education can help a student explore his/her potential and establish future career goals. 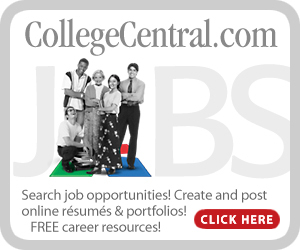 Check out our new career development and job search website! All current Denton ISD high school students are automatically signed up--check your school email to activate your account! Career and Technology Education will provide a positive difference in the lives of our students by making connections through technology rich, academically rigorous curriculum and real world applications that empower our students to become contributing members of the global community.